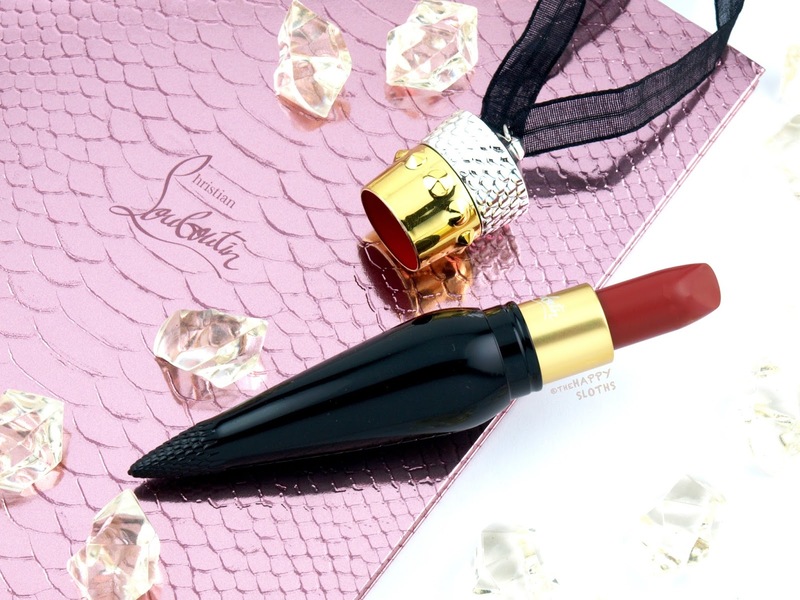 Housed in a lacquered black metal body, the Rouge Louboutin Silky Satin Lipstick is nicely weighted for a very luxurious feel. The cap is studded with raised Art Deco patterns and the underside is painted red to evoke the glamor of the Louboutin red soles. 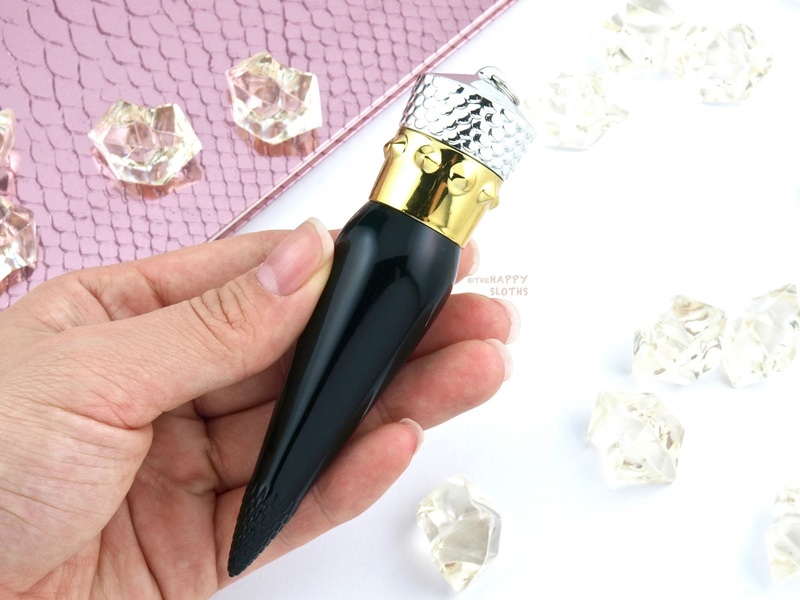 The cap is looped with a silky black ribbon so if you wanted to, the lipstick can be worn as a necklace. 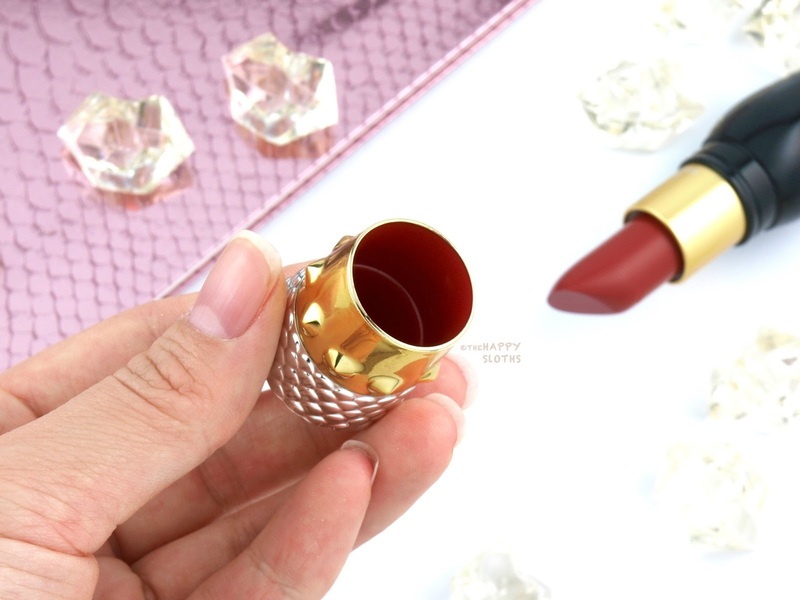 As I've said in my last Christian Louboutin review, the packaging of these lipsticks is as luxurious as it gets. They feel more like a precious piece of jewelry and not just a tube of lipstick. With a lightweight yet creamy texture, the Louboutin Rouge Silky Satin Lipstick is a rich true red lipstick finished with a natural sheen. 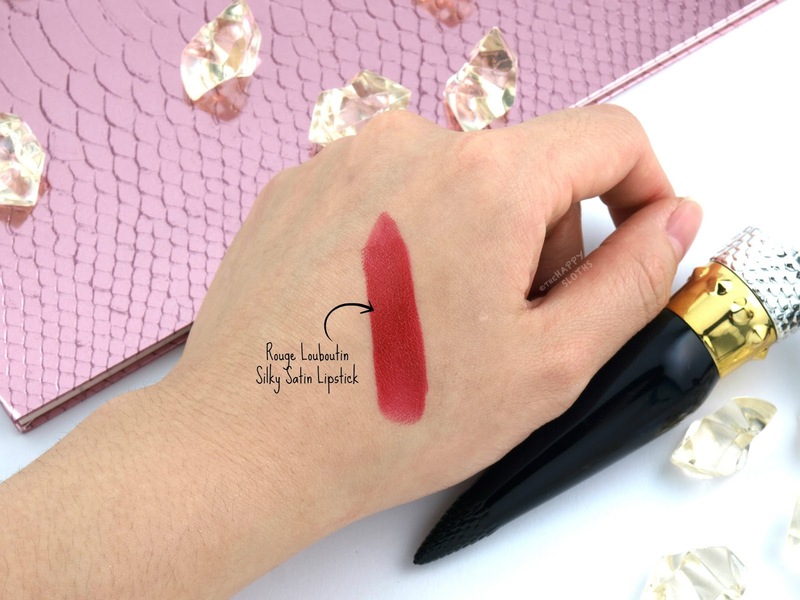 For the Louboutin Rouge shade, two other finishes (Velvet Matte and Sheer Voile) are available. The pigmentation is great as one swipe provides an almost opaque coverage. Moisturizing, cushioning, and smoothing, the formulation doesn't bleed or feather but the color is not smudge-proof. With that said, you can get at least four to five hours of decent wear without having to touch things up. Overall, this is one amazing red lipstick. The color is super classy and the packaging is just stunning. 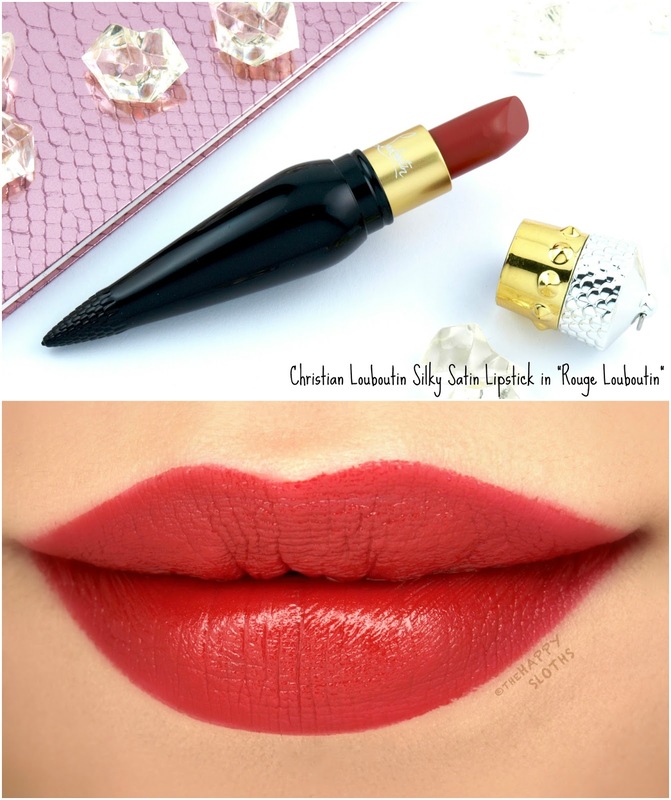 If you plan on investing in any of the Christian Louboutin Lipsticks, this one is my recommendation!